Looking for a fun way to do due diligence on a hot new investment? Financial advisors, and their clients, might want to try a luxury tour of Colorado’s fledgling cannabis industry, including head shops, dispensaries and growing facilities. The trip was part of a two-day gathering of members of San Francisco-based ArcView Group, which runs an angel network for cannabis investors. It was timed to precede the National Cannabis Industry Association’s business summit, which was held Tuesday and Wednesday. ArcView members have invested over $10 million in 14 private cannabis-related companies. A report by the network in 2013 estimated that the legal U.S. cannabis market was $1.5 billion in 2013 and projected it would grow more than 68 percent to $2.6 billion this year. Investors may ultimately find that direct investments in businesses that handle the plant itself are not necessarily the best bets when it comes to making money in this industry. ArcView member Patrick Rea, founder and fund manager of Boulder-based MISO Capital, which invests in ancillary legal marijuana businesses, says the plant itself is not where investors should put their money. Sudden increases in supply have been known to dramatically drive down prices. IPO market investors who were able to secure shares from their brokerdealers that were floated today on the NASDAQ Stock Market by video camera maker GoPro were rewarded as the company’s stock surged more than 30% in the company’s first day of trading on the public stock markets. Investment Bankers J.P.Morgan, Citigroup and UK’s Barclays were the lead underwriters. Selling group members included the broker dealer industry’s Mischler Financial Group, the securities industry’s oldest and largest firm owned and operated by service-disabled veterans. 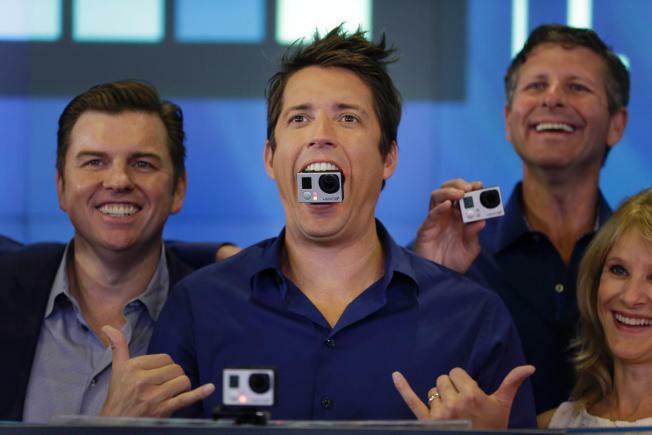 GoPro is the largest consumer-electronics IPO since battery company Duracell International Inc.’s 1991 debut raised $433 million, according to data provider Dealogic. Gillette Co., now a unit of Procter & GambleCo., bought Duracell in 1997. GoPro is the latest consumer business to cash in on investor demand for U.S. stocks, which has given the likes of microblogging service Twitter Inc., perfume maker Coty Inc. and theme-park operator SeaWorld Entertainment Inc. a window to float shares in the past year and a half. At the offering price, GoPro’s selling shareholders will generate proceeds of $427.2 million, based on the 17.8 million shares being sold. The company will command a market value of nearly $3 billion based on the 123.1 million shares that will be outstanding after the deal. Trading on the NASDAQ Stock Market under ticker symbol “GPRO”, the shares soared GoPro shares rose $7.73, or 32 percent, to $31.73 in afternoon trading Thursday after rising as high as $33 earlier. Shares in UK’s Barclays Bank fell as much as 10% and closed 6% lower today on the London Stock Exchange, after New York Attorney General Eric Schneiderman filed criminal charges against the bank in connection with the brokerdealer’s “dark trading pool, ” one of the financial market’s largest electronic trading platforms whose business model is to provide black box order matching for large block trades. New York’s top cop has accused Barclays of fraud, including allegations of misrepresentations made to clients of the bank, including the world’s largest investment managers. Prosecutors said Barclays misrepresented the kinds of investors that were using the dark pool. They said the bank claimed the pool was closed to aggressive traders, but in reality it was not. They also said the bank had misled ordinary investors by claiming it would use a stock exchange or dark pool that “would best execute their trades” at any given time, but in fact the trades were “nearly always” routed to Barclays’ own dark pool so the bank could make more money. The world’s major stock markets, such as the London and New York Stock Exchanges, are known as light markets, as they are highly transparent and regulated. Dark pools are private markets set up by banks that are less transparent and so are not open to the same levels of scrutiny. “Barclays grew its dark pool by telling investors they were diving into safe waters. According to the lawsuit, Barclays’ dark pool was full of predators – there at Barclays’ invitation,” he said. The complaint details “a flagrant pattern of fraud, deception and dishonesty with Barclays clients and the investing public,” he added. Andrew B. Balson, a longtime managing director at the Boston-based private equity firm Bain Capital, has left to start a new investment fund. Mr. Balson, a 17-year veteran of Bain Capital, has hired his first employee, Lara Fox Moskowitz, who works in investor relations at the private equity firm General Atlantic, Ms. Moskowitz confirmed on Tuesday. She will be in charge of operations and strategy. The new fund, which will be based in Boston, does not yet have a name. Bain Capital notified its investors of Mr. Balson’s departure last December, according to a person briefed on the matter who was not authorized to speak publicly about it. The move was not publicly reported at the time. Mr. Balson, 47, joined Bain Capital in 1996 and was promoted to managing director in 2000, according to a biography that until recently was on the private equity firm’s website. He focused on investments in technology, media and telecommunications, as well as in the consumer, retail and dining businesses. Before Bain Capital, he worked at Bain & Company, the management consulting firm from which Bain Capital was created. His new fund is expected to make private equity-style investments with a longer time frame. Private equity firms tend to hold investments for three to five years, but Mr. Balson’s fund intends to buy companies or equity stakes and hold them for 10 years or more. The departure of Mr. Balson came as Bain Capital began investing a new private equity fund, which it finished raising in April. In general, the establishment of a new fund is a fresh chapter for a private equity firm and can give senior executives an opportunity to depart. Another longtime Bain executive, Mark Nunnelly, also retired this year. The full article can be found at NYT DealBook. Joseph H. Clinard Jr. is 76 and spends his days planning for retirement — just not his own. Mr. Clinard has worked for more than 50 years as a financial adviser, and he has no plans to stop anytime soon, despite the fact that many of his clients have stopped working or soon will. “I don’t think my wife wants me home, to tell the truth,” Mr. Clinard said. Many of Mr. Clinard’s peers share his outlook. The average financial adviser in the United States is older than 50, a number that shows no sign of getting lower because relatively few young people are interested in the work. That is creating a problem for Wall Street, which after the financial crisis likes the idea of managing other people’s money more than it did before. As both independent firms and large broker-dealers attached to investment banks try to expand their asset management businesses, they must figure out how to attract and retain a fresh pool of talent that is increasingly looking to find its riches elsewhere. Of the 315,000 advisers working in the United States, only 5 percent are younger than 30, according to data from the consulting firm Accenture. Richard Stein, a partner at the executive recruiting firm Caldwell Partners, estimates that half of all advisers working today are within 15 years of retirement. At the same time, firms like Morgan Stanley and Bank of AmericaMerrill Lynch, which rely on thousands of advisers to serve their clients, have made it clear that they intend to increase their wealth management businesses as traditionally more lucrative operations, like trading, have largely dried up. “It’s a real problem for them because the only way they can grow their assets under management is by hiring new advisers, and there’s a limited supply,” Mr. Stein said. As a whole, Wall Street is a less attractive place to work than it used to be for new graduates. Many Americans distrust the banking industry more now than they did before the financial crisis, and the paychecks aren’t as large. 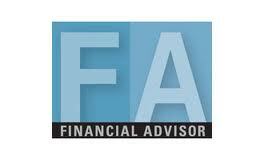 Fewer college students want to go into the financial services sector at all, Mr. Stein said. Instead, they are drawn to budding social media and technology start-ups, hedge funds and other fields beyond the financial services sector. In one sense, that could mean less competition — and more opportunity — for younger people who choose to become financial advisers. But the compensation model has changed as well. Advisers used to rely on commissions, meaning that they would make money from every transaction executed on a client’s behalf. But the industry has shifted more toward a fee-based model, which pays an adviser a percentage of the money under management. That may be fine for an older adviser who has a large book of clients, but it can be a deterrent for people just starting out in the business. Big firms say that the fee-based model helps align the interests of clients and their advisers, but it is also contributing to their staffing problem. Big retail brokerage firms are increasingly losing advisers to independent firms, which offer a bigger cut of fees. According to Mr. Stein, more than $100 billion followed brokers from the big firms to independent ones last year.